We are very excited to release our newest add-on to our mortgage website service. Introducing STREET CREDIT by Vonk Digital! 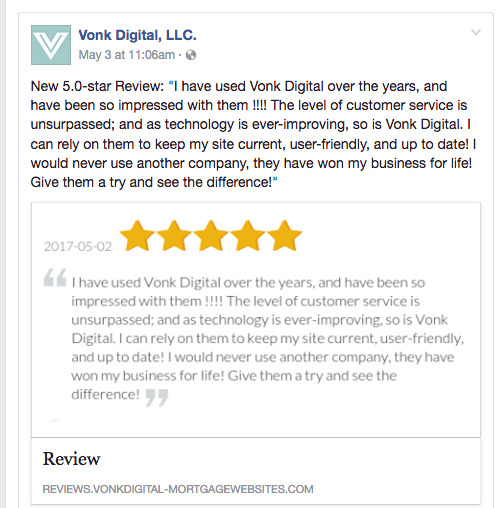 Managing and asking for reviews of your mortgage business can be a lot of work. With our new website add-on, we make that job pretty easy. 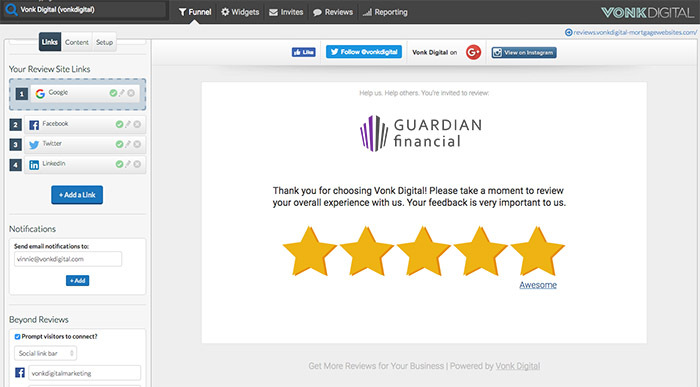 We have new review funnels that systematically drive customers to the review sites you care about. 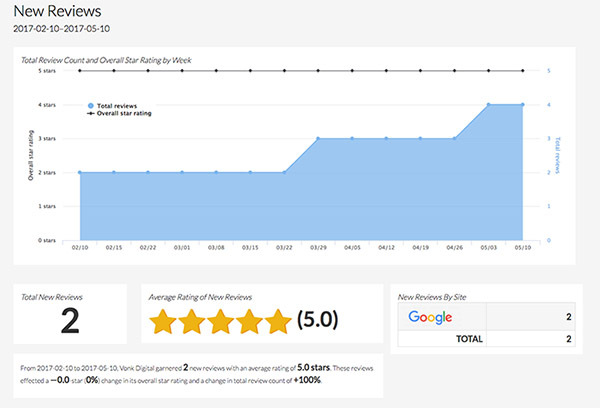 For any negative reviews, you may get a second chance by guiding them to a service recovery. So what do you get with this add-on? Control Dashboard: Manage everything from one easy to use dashboard. Review Funnel Control: Your review funnel can be customized with a message and company logo. Review Widgets: Create widgets to be used on your website as well as in your email signature. Create an email signature widget, landing page widget, and even a QR code. Reviews: Here you can view all your reviews in one place. Setup a review stream so that new positive reviews will automatically be added to your website.. Automatically share new reviews to Facebook and Twitter. Analyze: Generate monthly reports to analyze your reviews and overall company online reputation across many review sites. previous post: Should my Mortgage Website have Yoast SEO Premium? next post: What is a mortgage website template?